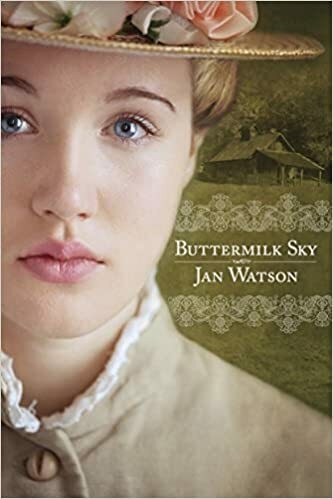 Weary of the expectations imposed on her by her strict upbringing, eighteen-year-old Mazy Pelfrey prepares to leave her home in the Kentucky mountains for the genteel city of Lexington, where she’ll attend secretarial school. She knows her life is about to change—and only for the better. Everything will be blue skies from now on. But business school is harder than she thought it would be and the big city not as friendly, until she meets a charming young man from a wealthy family, Loyal Chambers. When Loyal sets his sights on her, Mazy begins to see that everything she’d ever wished to have is right before her eyes. The only hindrance to her budding romance is a former beau, Chanis Clay, the young sheriff she thought she’d left firmly behind. Danger rumbles like thunder on a high mountain ridge when Mazy’s cosseted past collides with her clouded future and forces her to come to terms with what she really wants. As I was roaming through my church's library last week the cover and the unique name of this book drew me in. Buttermilk Sky, I knew it was a phrase you would hear from the people in the mountains. I'm so glad I picked it up because it ended up being an enjoyable read that kept me turning the pages. Jan Watson's detailed descriptions made the book come alive. Starting with the wonderful cats, the typing teacher (I had one just like her), the friends (oh the drama), and then the beautiful views that I just could imagine. Mazy ended up being stronger and smarter than she could have ever thought. Her faith in God and willingness to be as nice to others, left quite an impression. The touch of suspense and the budding romances was enough to keep me wondering what could happen next. The surprising ending was just perfect.